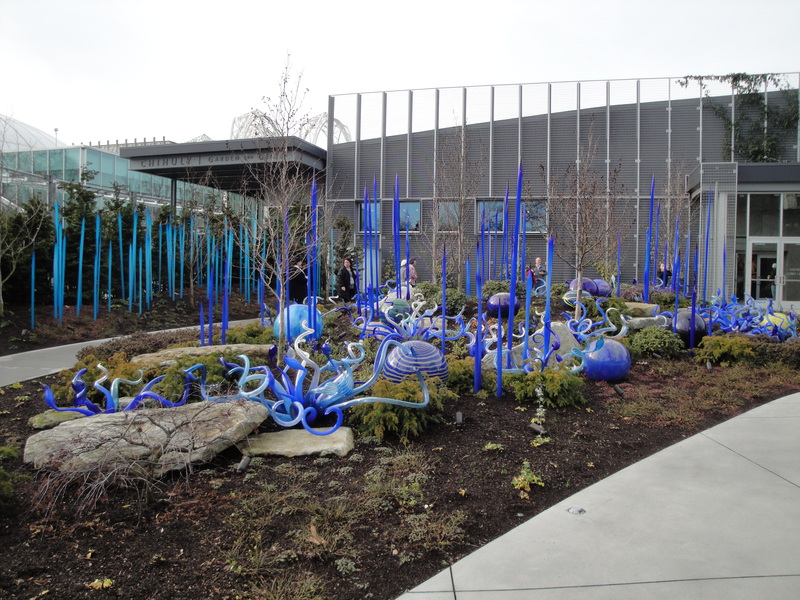 A Visit to the Chihuly Garden and Glass Exhibit in Seattle | ...and another cup of coffee. A few days after Christmas I still had family visiting so we decided to take the short drive across the floating bridge to Seattle. 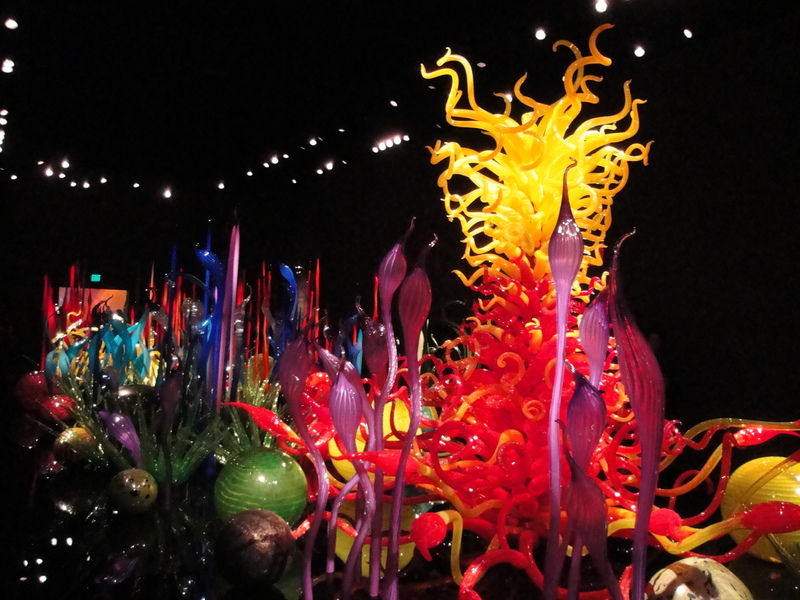 Our main goal was to go and check out the Chihuly Garden and Glass Exhibit. It is a new exhibit as of 2012 and it’s very close to the Space Needle (and who doesn’t like to check that out). The exhibit is mainly indoors but to my surprise it has a large private area outdoors with many large pieces with the landscaping beautifully designed to compliment each piece. Even my 4 year old enjoyed the time we spent here, especially the section outdoors. If you are ever in the Seattle area this would be a great place to go.